Excellent hotel. Close to the city center and train stations. "Friendly reception staff and hotel staff" "Food and wine were excellent served"
"We thought your staff were very friendly and the rooms comfortable. The food was the only disappointment because of the lack of choice so therefore I missed said course. Good Everything you require plus a few nice touches Lovely hotel and friendly staff As we were a group I felt we were delegated to a back room for our food. Lack of choice and long time to wait for food to arrive, as we were told to be there by 7.30 prompt. Very polite"
"Our only criticism was the delay between the main course and being offered the desert menu. The staff was too interested in clearing up the tables that had finished." "You looked after a large party really well with typical Swiss efficiency and friendliness. We would recommend the hotel to others. Old world charm. Warm, clean and very comfortable. Ideal location and very comfortable . Delicious. Excellent"
"Staff extremely courteous and helpful. The trouble the owner took to solve an allergy problem was amazing." "We stayed over christmas. The owner and staff could not have been better. Happy and helpful. Nothing was too much trouble. A great time was had by all of us. Happy and friendly"
"We had a package deal, and this was our third hotel, so our review is comparitive! Apart fom the small rather cramped room, the overall atmosphere at Romantik Stern was wunderbar! We particularly liked the unexpected little surprises, the maikäfchen ( siocolade) im badezimmer, und die weihnachtsplätzchen. Food was also excellent, especially the two christmas dinners, although it would have been good to have a choice of starter/dessert.. We were disconcerted to experience two different breakfast buffets: inadvertently we used the main stube and found the food, and coffee infinitely better than the spread laid out for the group in the Tempel. Individual and fresh coffee is essential for me in the morning, the coffee in flask on the table was a poor experience. Rather small, and no view." "We were genuinely welcomed from the start and felt very much at home throughout our entire stay at the Romantik Hotel Stern. When presented with a very personal request, the owners of this hotel not only honoured our request by agreeing to assist, but went above and beyond to make sure our special wedding day in Switzerland was perfect. We will always be grateful for the exceptional hospitality we were shown and for the enduring memories we now have because of their generosity. The Romantik Hotel Stern exceeded our perceptions from what we initially saw on line. 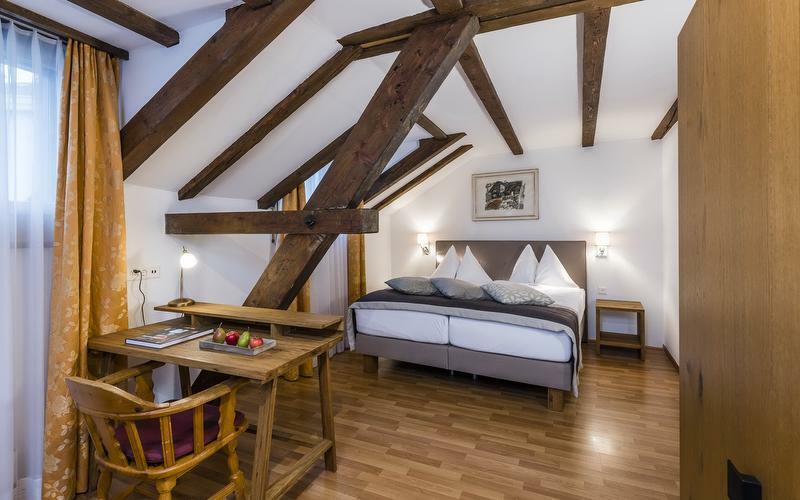 It was a very romantic, warm, and comfortable accommodation in the old town of Chur. Swiss style and tradition were evident, friendly reception staff and hotel staff greeted and assisted us, and the location was ideal -- the perfect spot to explore Old Town and the Christmas markets and begin our journey in Switzerland. Rooms were very comfortable and thoughtfully detailed. Bedding was exceptional. Bathrooms were comfortably appointed and relaxing. We enjoyed the windows overlooking the terrace and church clock tower. Just one respectful note that the sitting chairs could be a bit more comfortable to relax in after a day of touring. Excellent! Our experience could not have been better! A demonstrated commitment to fine hospitality. We highly recommend this hotel to anyone looking for a positive, genuine experience in Old Town Chur. 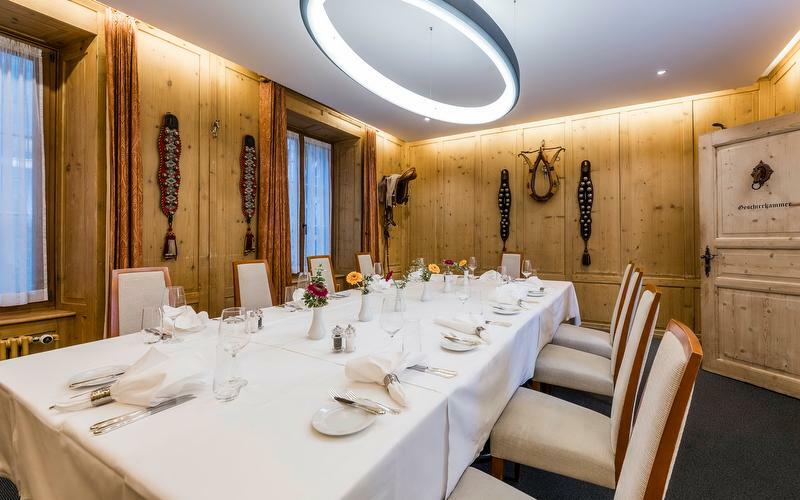 We enjoyed truly incredible meals in the house restaurant Bundner Stube on two of our three nights. The beef tips and stroganoff were like nothing we've ever had out or been to create at home. Honestly, one of the best meals we've enjoyed out -- ever! We also tried the capuns and Bundner appetizer plate, enjoyed a fine Swiss wine selected at the suggestion of our hostess, and the salads we chose were unique and fresh. A lemon sorbet with vodka finished the evening perfectly. Our second night we revisited the capuns and the wonderful salads and tried a the pork schnitzel. There were abundant options and we appreciated the opportunity to sample traditional offerings. The service was not rushed at all and our waitress was friendly and patient. We felt -- at home! Not to repeat, but it really can't be emphasized enough -- The service was excellent at every point and everyone really made our stay special and to make our first visit to Switzerland, not to mention our wedding day :), unforgettable!" "The standard of the hotel, the friendliness of the staff and the overall service is exceptional. 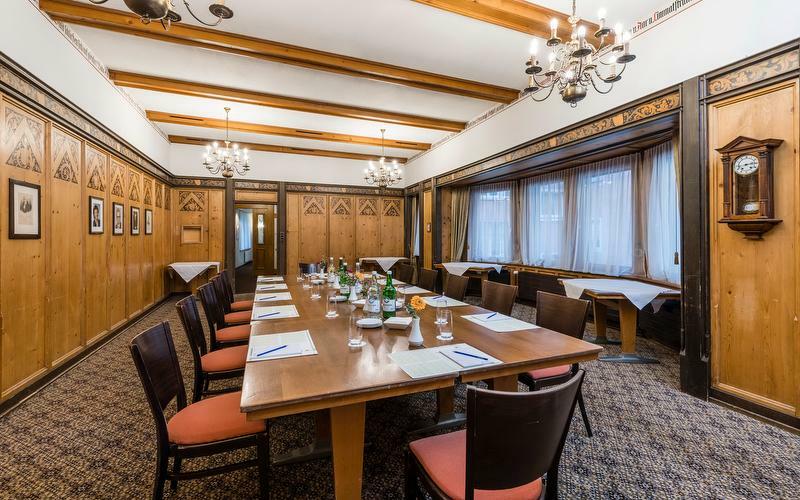 The atmosphere of the hotel is excellent and food and service in the restaurant was very good,"
"Wonderful hotel near the old city centre and Chur railway station. Friendly helpful staff." "It surprised me, how quiet was the room even in nearby the church. Double doors is also very clever solutions. I like the atmosphere of the romantic hotel. The cattering was superior." "the only thing I missed was some nice discreet music during dinner and it was too hot in the restaurant all very tasty food; only a little bit too small selection at breakfast perfect service, both reception and waitresses, cleaning ladies - great!!!" "Burrito picks you up from the station then greeted by wonderful friendly staff . Your room is warm super comfortable beds and finished with special touches with fruit , chocolates and water Warm and friendly Super comfortable warm and homely Great location Plenty of really good food and lovely staff Fantastic all round"
"Everything was perfect and there is nothing for me what could be better. Nice, friendly, family atmosphere. Comfortable, warm and very clean. Perfect position, quiet, clean. Excellent eat as well as vine offer. Excellent and friendly professional personal." "Very helpful, friendly staff. Public areas were very nice. Very good breakfast. Only shortfall was the size of our room. Not room to have two suitcases open. We used the desktop for one." "Very pleasant hotel , just what we were looking for in Church. Excellent stay." "Good location. We loved the busy lively restaurant. Good food. Lighting poor. No headboard pillows kept falling down. Would prefer solid bar of soap not liquid." "Room was quite small but hotel was very good." "Overall we enjoyed our stay at your hotel Our only comment would be the bathroom needed updating as the shower didn't work well and our washbasin would not hold water as the plug was faulty We did report it but sadly it wasn't repaired Bathroom poor - please see above"
"A lovely place to stay very helpful staff and good food. We felt at home the minute we arrived We had a small crack in our sink which spoilt the overall good impression Central to all facilities including the shop and station. On a tour food is preordered. What we were served was very good Rooms spotless"
"No marmalade on final breakfast"
"We stayed for 2 nights in this charming hotel. The staff were attentive, courteous, helpful and beautifully dressed in traditional costumes. Our room on the top floor was roomy and immaculately clean. There was no fridge or air conditioning which was challenging in the very hot weather. The breakfast was delicious and plentiful. We aite an evening meal in the restaurant where the food was undoubtedly expensive but absolutely delicious, probably the best meal out I have ever eaten. We came after a trip on the Bernini Express and had a wonderful trip thank you. Lovely Needs a fridge to improve room facilities Fabulous but pricy Excellent staff , thank you"
"The service was very good and the room was clean. We had a great dinner in your restaurant, and good breakfast both mornings." 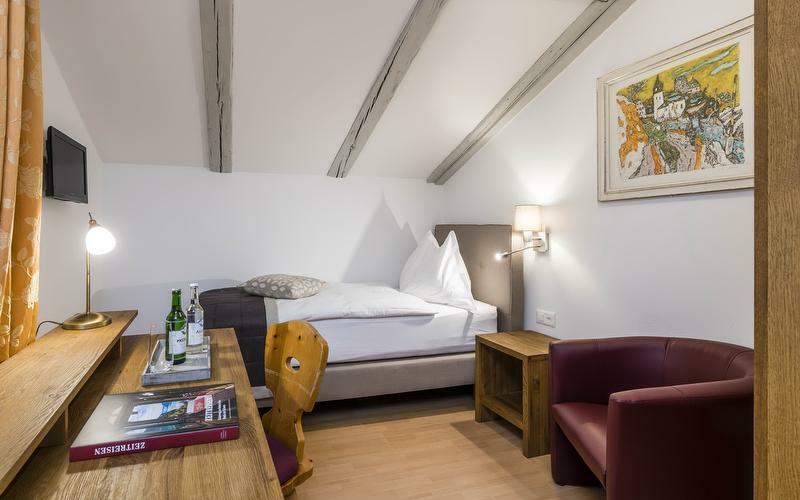 "Good friendly atmosphere and food but the room was ridiculously small Started off with a friendly welcome Bed comfortable but room far too small Could not fault the service"
"The hotel was conveniently located in Old Town of Chur, close to the train station. It is a cozy hotel, our room was very nice. Very quiet unless the church bells next door was ringing (the bells start ringing at 6 a.m.). The little touches in the room were lovely - the water, candies, apples. Nice and cozy. Very nice. We ate in the restaurant for dinner and the food was delicious. The breakfast offering was very good too. Very friendly." 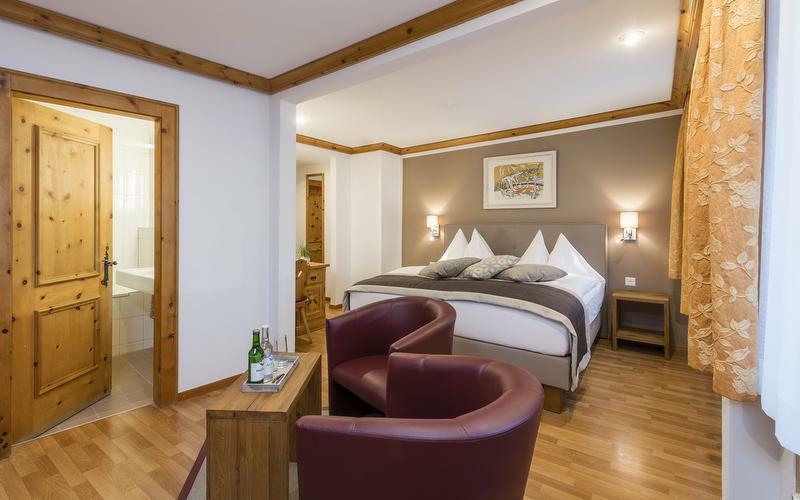 "On arrival from the Bernina Express our room was upgraded and my wife was given flowers, fruit and biscuits as it was her birthday and our 40th wedding anniversary, a very pleasant suprise. We had booked a table at the restaurant and ate on the patio where we received a complimentary glass of wine, the food and service was very good, including the breakfast the next day. On our departure we were given two bottles of water for our journey which was very welcome as it was 30C outside! Note that there is no air conditioning in the bedrooms but a fan is provided Highly recommended The hotel has many period features and interesting paintings and photographs The room was large, comfortable and well decorated in keeping with the age of the hotel. The weather was very hot and a fan was provide which helped. Very clean and tidy with modetn features where needed e.g. the bathroom The food we chose was traditional local meals which were very tasty and filling Service was exceptional with Tania Perez making our stay particularly memorable"
"Courteous friendly staff who all spoke good, colloquial English. Clean rooms throughout the hotel Delicious chocolates at Reception Interesting memorabilia Change of menu welcomed"
"Very interesting histo Enjoyed Group meals adequate but a bit ordinary." "Hotel is situated not far from the railway station and on the edge of the old town. Both Chur itself and surrounding area is ideal for a tourist location. Our room on floor 5 was very spacious and well appointed. 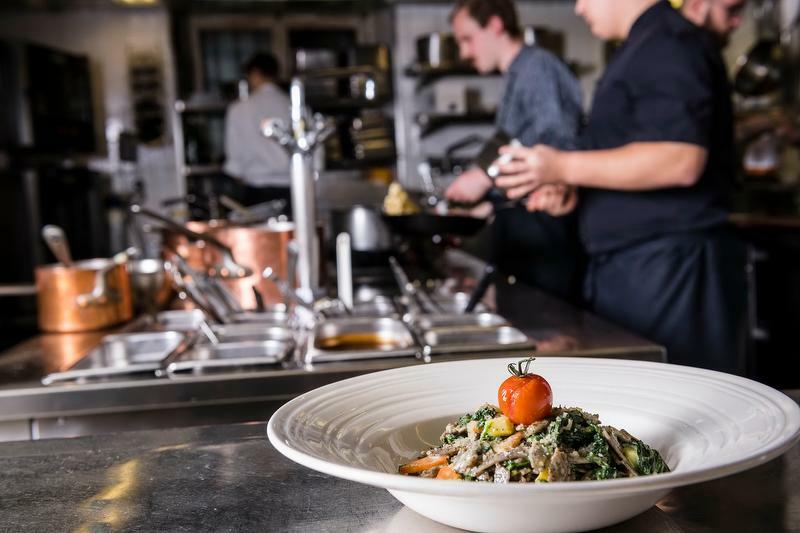 Meals well prepared and service friendly. 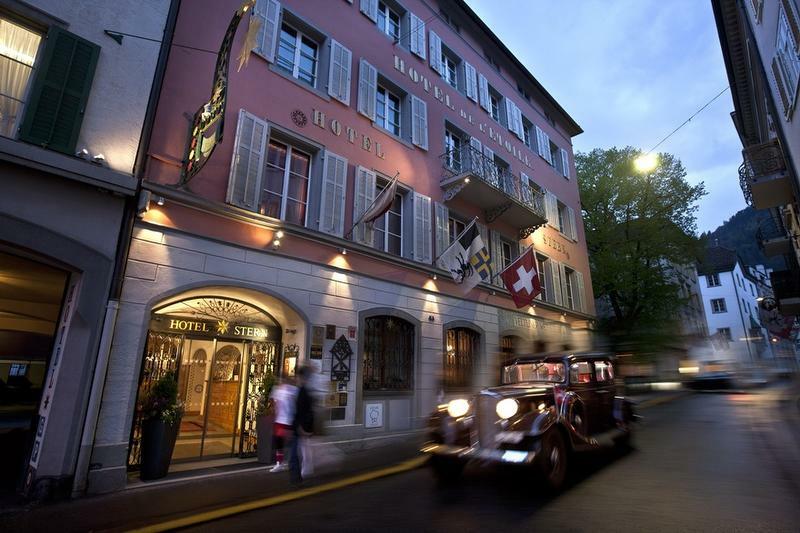 A hotel with character"
"A beautiful traditional Swiss style hotel. Everyone very friendly and helpful. Thank you for making my few days there so enjoyable." 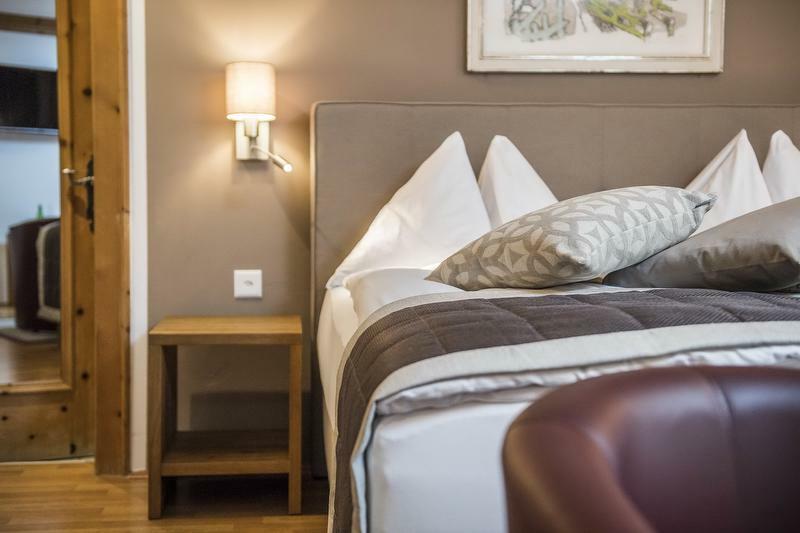 "The bed and pillows were the best we have experienced in Europe and a welcome relief from the previous Paris Airbnb we had been in. The receptionist was lovely, and they went out of their way to make our stay comfortable and enjoyable. The location was excellent Inbetween the old and the new, and the proximity to the railway station a big advantage. The breakfast was also very good! We loved it and would stay again. Room a little bit on the small side but the rest was perfect"
"Was a very good experience! I found the hotel in booking.com and was better than we imagined. Tks a lot!" "This is a lovely hotel, full of character and charm. The food and wine were excellent served by friendly, helpful staff dressed in beautiful local costumes. Yes there is a lovely atmosphere to the hotel, which has plenty of character. The bed was comfortable and our room had everything we needed. I would just say it was on the small side and a little dark. A quirky, tastefully decorated hotel with period charm and comfortable rooms. Very tasty, well presented meals with plenty of choice and variety. The staff were friendly and helpful and looked splendid in their local costumes." 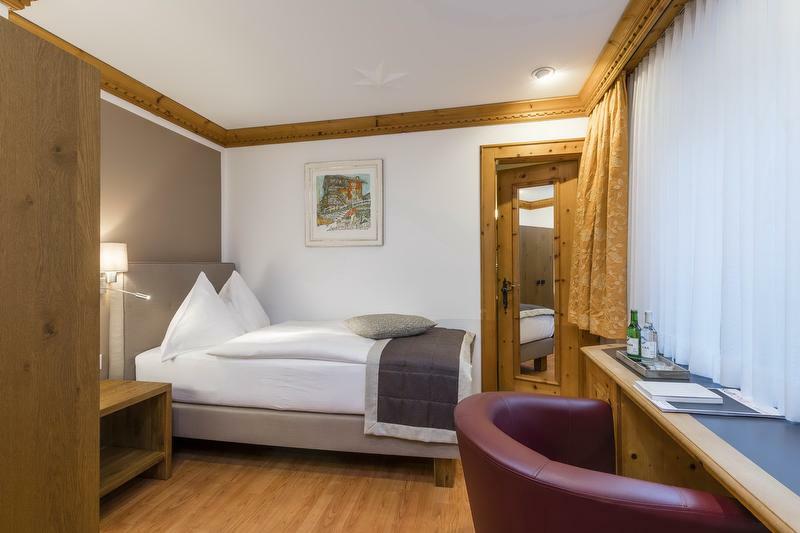 "Just wonderful (and I m a faddy eater) Nothing too much trouble"
"Very well run, comfortable, peaceful and attractive hotel in the old town area of Chur, short walk from the station. Staff were polite, friendly and helpful. Little touches like fruit and chocolate in the room to welcome us was nice. The bar was pleasant and the restaurant menu looked appealing though we didn't eat either night we were there as it looked a bit more pricey than we wanted. 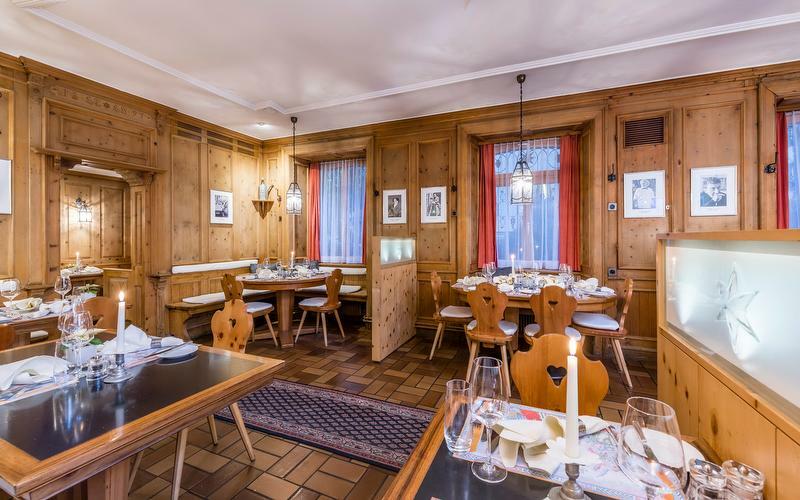 We were told this was a 3 star hotel but it seemed better than that and was superior to and had more character than the other hotel we stayed at during our short break in Switzerland, which was a 4 star hotel." "The Stern is in perfect location - a gateway to old town, and walkable to the station. It checks all boxes - a nice, sparklingly clean room, absolutely comfortable beds with crisp linen, free WiFi, free water, great breakfast and a reliable, on call elevator. What however defines Stern is the staff. Courteous, helpful, cheerful, friendly and informative. Had an excellent check in experience with Tamara and check out with Michele. Also Tamara went out of the way to facilitate with the chef for a delicious all vegetarian meal, and Rosi was a gracious hostess. The trip was memorable thanks to them. Exudes hospitality and happiness, and the property upkeep betrays its age Excellent. 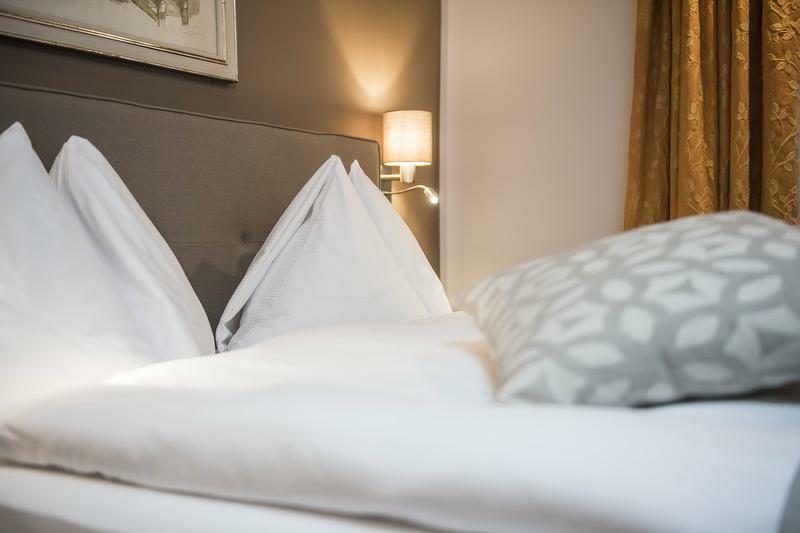 Spacious, excellent beds, clean bath and toilet and nice soft towels Professional, sparklingly clean Awesome vegetarian food The service from every person we interacted with was superb. Tamara needs a special mention"
"We unfortunately had only one night at Romantik Hotel Stern....our stay was exceptional ...hope to return the enjoy the spa and dinner next time.... welcoming appreciated the upgrade to room with a view of mountain spotelss loved all the amenities delicious exceptional"
"Warm reception, excellent experience at dinner in restaurant, Great quality and service. Our room is comfortable with nice facilities but would have preferred a better shower in the bathroom. The bath towels were slightly aged! Excellent Good Very good Excellent Excellent"
"Lovely hotel and situation. Room very comfortable but 205 could do with a lamp in the dark corner where the two chairs are. The kettle needs replacing as it spills water when you pour it out. Friendly and helpful staff but often too rushed off their feet to give their best service. The room where we had our evening meal on Thursday was attractive but too small for our group size, we were packed in and the noise and heat became uncomfortable. The other room “Temple” was by contrast unpleasantly too large and soul-less. Good in general but poor at evening meals. But please see about improvements needed as mentioned above. Please see previous comments. The food itself was ok but experience of eating affected by the location and harassed staff. When we had a meal in your restaurant we experienced a much better quality all round. Could have been good if staffing levels had been higher, for example towards the end of our stay 2 people were on Reception and that helped enormously." "Sadly only able to stay one night while passing through Chur, but impressed with every aspect - from the initial welcome to a considerate farewell. Our evening meal, showcasing the best of Graubunden regional specialities, was superb; and accompanied by an excellent regional wine. Most certainly on the agenda for any future visit to the area. Nice 'feel' to the whole place Spotless and comfortable Clean and impressive, yet welcoming Outstanding Considerate and polite at all times"
"Very clean the food was excellent and staff were friendly and helpful Warm and cosy Large and clean Tasty and fresh Staff very attentive and friendly"
"Together with the other hotel using on this trip, you offered a friendly, efficient and high standard. There were several small matters that added to the quality including the personal welcome by Adrian. The location of the hotel was excellent and I would certainly seek to stay again were I in Chur. Very welcoming throughout. Every one of the staff members keen to help with questions. Room 201. It was spacious, clean and tidy. I liked the attention to detail especially the provision of English tea bags and BBC1 channel - the latter I have never come across before. I would have liked a stand on which to place my opened case. The lighting offered no real choice: only full on or off. I would have liked a bedside or table lamp. Although the window opened I had to jam it with some object to keep it from closing. However....... My main criticism concerns the bath. This is badly dented and needs a good repair or replacement. A wonderful building but I am so glad you provided help finding the right dining rooms! All excellent. Staff in all areas were helpful and efficient. Just one young lady on the reception desk had to seek help as her English was not up to my needs! (Unfortunately I do not speak German or French.)" "Together with the other hotel using on this trip, you offered a..."